Photo Play Collection Red White Blue Collection Pack 12 in. x 12 in. 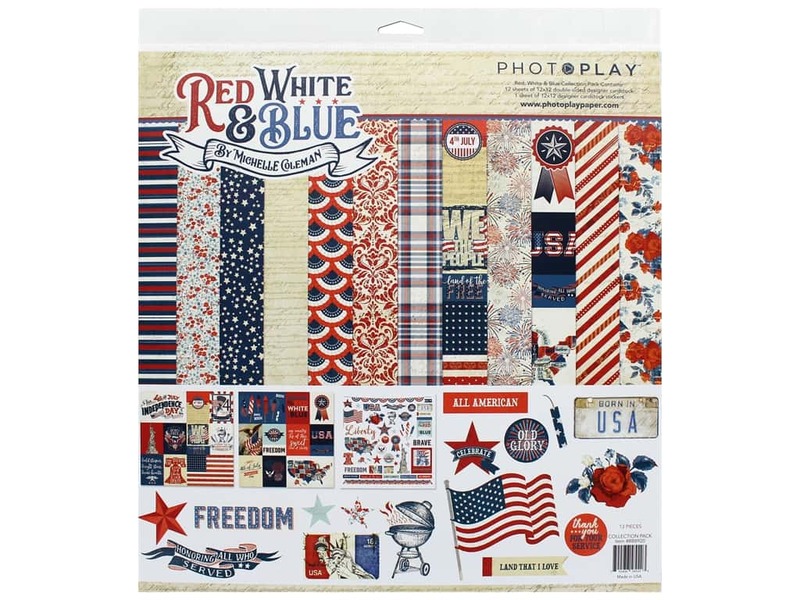 Description: Photo Play Collection Red White Blue Collection Pack 12 in. x 12 in. - Contains 12 double sided cardstock sheets and 1 sticker sheet. Designs include flags, stars, flowers, stripes, buntings, fireworks, captions of Land That I Love, Freedom, 4th July, USA, and more. See more Photo Play Red White Blue Collection.